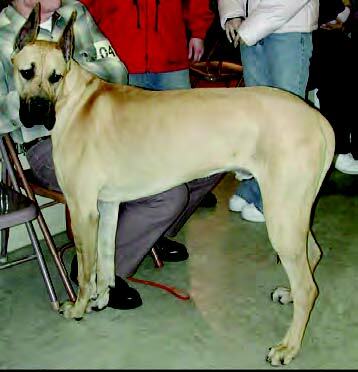 Large breeds and deep chested dogs are most susceptible to canine bloat. It is noted that aged dogs had more chances of bloat then younger ones. Bloat is also referred to as gastric dilatation – volvulus (GDV). The extended abdomen is usually noticed in the initial stages, which is followed by volvulus, blockage or twisting. Dilatation may occur due to accumulation of gases, fluid or both in the stomach. Obstruction in the gastrointestinal tract may occur due to the narrowing of the end of stomach, a condition called pyloric stenosis; which refers to any abnormal or unusual growth of cells in the tubular tract, any foreign body or may be due to compression of the small intestine againstthe body wall due to any reason, e.g. expanded stomach. Bloat may also be due to aerophagia (Excessive air intake) e.g. in case the dog runs too much and inhales air, which may enter into the gastrointestinal tract. Another major reason for dog bloat along with other causes is that of fermentation caused by bacteria. Susceptible breeds include Irish Setters, Weimaraners, Standard Poodles, Rottweilers, St. Bernards, Akitas, Boxers, Labrador retrievers and Golden retrivers, although bloat can be found in any breed. Bloat symptoms include both the sudden onset of restlessness in dogs, along with an abdominal pain are two initial signs of canine bloat. Other signs include when a dog repeats an unproductive try to vomit every 5 – 30 minutes. Apparent discomfort and pain, with excessive salivation are other symptoms followed with a notable distention of abdomen. Hypovolemic shock may ocuur which is a term that refers to a blockage that causes a problem in the circulatory system. Dogs may have difficulty breathing, suffer from weakness, become pale and have a irregular arterial pulse. The blockage and resulting prolonged capillary refill indicates onset of shock. An irregular heart rate, pulse deficit, accumulation of fluid in to the obstructed stomach & no water intake usually intensify hypovolemic shock. The life threat to such dog may be due to severe shock and intravascular coagulation. It means that lowered water levels may lead to several biochemical reactions in the vascular tubules. Death may occur in untreated cases, in 2 – 6 hours depending upon the cause & severity of the blockage and water level in the body. Clinical signs & the types of food your dog eats is helpful in identifying bloat. The dogs which haven’t developed a shock condition remain anxious and restless. Abdominal radiography is helpful in identifying the cause and severity of the blockage in the gastrointestinal tract. Fluid therapy is the initial step for treating bloat conditions. The fluid administered may contain normal saline, dextrose and balanced electrolytes. Initially more then 90mL for every kg of body weight fluid is administered in first hour, later on, administration of fluid depends on the ability to control and maintain adequate blood pressure and cardiac output. Steroidal drugs, antibiotics and isotonic solutions are sometime administered along with the fluids, but it depends upon the conditions and status of the dog affected. Gastric decompression should be accomplished as soon as possible. It may be done by passing a well lubricated tube into the stomach, which may help in the release of gas. An alternative approach is to pass a catheter attached with a large bore needle through the skin into the stomach. Passing a stomach tube or a catheter to release gas requires a high level of veterinary skill and proficiency, e.g. the spleen may get severely injured, if the catheter is not passed through properly. Similarly, the esophagus or throat may be severely injured if the stomach tube is passed incorrectly. Temporary gastrotomy is a very effective way in treating and stabilizing conditions. Here, the stomach is accessed via minor surgery and the excessive gas, fluid and material is removed, until the dog gets stabilized. This minor surgical procedure also helps a veterinary surgeon locate the cause of obstruction, volvulus or any other complication, which can be readily removed by surgery. Several surgical techniques have been followed to prevent reoccurrence of stomach twists, e.g. simple incisional gastropexy, tube gastrotomy, and circumcostal gastropexy. After surgery, feeding should be withheld for 24 – 48 hours. In the case of persistent vomiting, anti emetic drugs as metoclompromide can be administered through injection. Dogs that have a tendency to develop bloat must never be fed large meals. Excessive exercise and consumption of a large volume of water after exercise in such dogs should be strictly prevented.